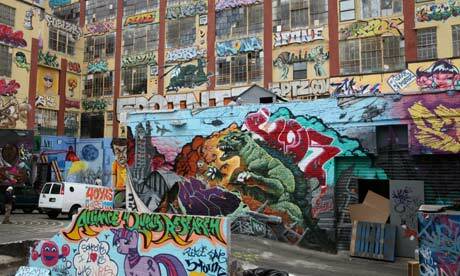 A part of history was lost when painters began whitewashing the colorful graffiti covering 5 Pointz on Tuesday morning. But one thing can never be erased: the need to spread your name. 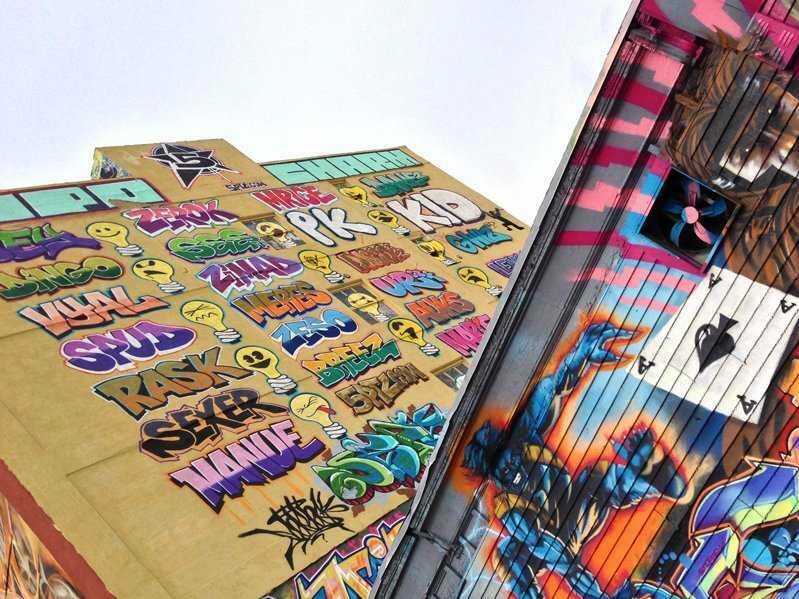 For Eddie Rodriguez, better known as Snake 1, the best part of 5 Pointz—the soon-to-be high rise apartment complex in Long Island City, Queens that was once known as a graffiti mecca—was seeing his name and the names of his fellow former graffiti kings thrown up in bright colors from the above-ground 7 train. As a 13-year-old running around Washington Heights with his wide-tipped markers in 1970, the only thing Snake ever wanted was for his name to be seen. The worst part about the end of 5 Pointz, in Snake’s opinion, was that no one got to take home a piece of their work. At around midnight, Tuesday morning, the world-renowned, aerosol-covered warehouses were painted white. As protesters took to Twitter and the streets (admirers held a last minute candlelight vigil after the whitewash began, and at least six people were arrested the following night for writing farewell messages on the newly clean walls), the building’s owner, Jerry Wolkoff, explained his decision as the compassionate option. Watching the graffiti that artists had come from all over the world to paint get demolished into pieces would have been “torture,” he told The New York Times. But Snake disagrees. “Everyone could have kept little pieces of it,” he says. Like a masterpiece—or a mural across the side of a subway car—the art of graffiti seemed to spring up overnight in New York City. At the end of 1960, writers started small, scrawling their names—usually a nickname denoted with a street number, such as Taki 183, one of the city’s first recognized graffiti writers—with marker on their street, then across their neighborhood and into other boroughs. The pastime soon became a competition, the objective: getting one’s name in as many places as possible. Eventually writers started taking the time to develop techniques, like the “wildstyle” coined by Tracy 168. It wasn’t fun, however, for property owners or the MTA who spent thousands cleaning their buildings and trains of the tags that scared off potential gentrifiers with their criminal connotations. But as the city cracked down on moving graffiti out of public sight, the artists started moving indoors. In 1972, then-City College philosophy student and activist Hugo Martinez organized United Graffiti Artists, helping Snake and others transition their work from concrete to canvas. Snake says he was the first graffiti artist to ever sell a painting, a point of pride that he holds dear. It wasn’t long before former street and subway scrawlers like Jean Michel Basquiat and Keith Haring—considered by some the forefathers of Banksy and Shepard Fairey—became ‘80s art scene icons. In the mid-1990s, Wolkoff permitted a non-profit group called the Phun Phactory to paint the outside of his Long Island City warehouse. The Phun Phactory’s initial objective was to keep aspiring young graffiti artists off the street and out of trouble. In 2002, Jonathan Cohen, better known by his graffiti name “Meres,” began curating the work that was painted on the warehouse, turning it into a constantly changing, outdoor art exhibit called 5 Pointz to signify the unification of the city’s five boroughs. Graffiti artists and admirers came from all over the world to paint and marvel at the giant aerosol opuses. But earlier this year, despite protests and even an attempt by Cohen and others to sue for an injunction, the Wolkoff’s development company, G&M Realty, moved ahead with plans to tear down the beloved building to make way for luxury high rises. Roger Gastman co-authored the 2011 book, The History of American Graffiti, and was a consulting producer on the Banksy documentary, Exit Through the Gift Shop. While he acknowledges the importance of 5 Pointz as a “great, safe outlet for so many artists,” and a particularly special venue for the old timers like Snake to get together and paint, he notes that what took place at 5 Pointz was separate from actual graffiti culture. He argues that its demise, while sad, won’t have much of an effect on the scene. Craig Mathis, the manager of Powerhouse Arena, a gallery that has hosted several graffiti exhibitions, sees a lot of artists struggle with the idea of embracing gallery culture. “They think they’re selling out as opposed to just amplifying their work,” he says. “There’s been a lot of attempts to co-opt the culture for marketing, advertising, clothing,” notes Maths, pointing to people like Marc Ecko and KAWS, who redesigned the MTV moon man for this year’s VMAs, as examples of graffiti artists who’ve made that transition. Mathis respects the fact that 5 Pointz existed in the first place, but his biggest lament is the fact that the old graffiti writers who were once memorialized on the warehouse’s walls are once again anonymous.